Our materials refer to business procedures and other sensitive subjects. Will they remain confidential? Your documents are never stored online and can only be downloaded from our secure servers. Only Scribendi employees and editors have password access to our order system, and they are required to sign a confidentiality agreement. Scribendi uses 256-bit SSL or higher encryption for communications between your computer and our site. If you require a specific nondisclosure agreement, please contact us and we'll send one to you. Please be assured that we never sell or trade your personal information. What kind of business documents do you edit? Everything. We have experts on staff in every field/genre, and since we've been in business so long, we've seen just about every different type of document there is. Our business editors are experienced with all types of business documents. No matter about the document, rest assured that we have someone who can edit it. If you have specific questions about a document that you wanted edited, you can contact us. If you would like a free quote, simply go to our Business or Corporate services page and follow the prompts. How do I get the word count for my PDF? To determine the word count in a PDF, click the following: Edit > Select All > Copy. Once the text has been copied, you can paste it into the Scribendi Word Count Tool. After pasting the text into the Scribendi Word Count Tool, the word count for the text will be shown in the bottom left corner. For example, the sample of text in the picture above is shown to have 64 words. We'd like to use your firm to offer value-added services to our clients, but we're not keen on letting our customers know that we outsource. Can we integrate our processes somehow? Yes. We can set up one or more linked accounts so that your customer service reps can send us material via our standard website order form. Or, we may be able to design a seamless interface on your website that carries your brand and your message but that brings the document to Scribendi for processing and then delivers it either back to you or back to the client directly. A variety of permutations are available; please visit our Business or Corporate service page for more information about how to contact us regarding your project needs. What are your credentials? Is your company qualified to handle my document? Scribendi has been a world leader in the field of online editing for over two decades. With over 400 editors worldwide, our global reach is extensive and we have experts in every major field. With two decades of experience, we have proven quality standards and proven processes for evaluating and hiring only the best editors. Our testing process is extensive and thorough to ensure that new editors with Scribendi have been thoroughly vetted and have the necessary skills and experience to excel. A typical Scribendi editor has two or more degrees, 15 years of professional experience, and is published in his or her chosen field. Our business editors are experienced with every type of business document, be it a marketing report or an analysis of investment opportunities. See what our customers have to say about our qualifications—view a long list of recent comments and customer feedback on our Client Testimonials page. Since our founding in 1997, our clients have come back to us again and again. If you would like help choosing the editor that is right for your document, please feel free to contact us; our Customer Relationship Specialists will be happy to provide guidance. Our preferred method of payment is via credit card: we accept Visa, MasterCard, American Express, Discover, Diners, UnionPay and JCB cards. Scribendi has a secure credit card processing system provided by Stripe. We also accept Maestro cards through PayPal, as well as PayPal payments. For customers in China, we accept Alipay. Registered retail customers and corporate/government/organizational clients can arrange payments via ACH or wire transfer. I'm concerned about copyright. No one will be able to take my ideas, will they? Absolutely not. Scribendi and its editors make no claim on your copyright, and we don't require credit, acknowledgment, or anything else beyond the fees for the services we render. Your work is safe on our secure, encrypted system, and no one outside of Scribendi will ever be able to access your work. What are our options if we need a customized service? We’re always happy to work with companies or institutions to find a solution to specific editing or language needs. If you are interested in potential options for a customized service, please consider contacting us directly. We can provide an adaptable editing service to meet the unique requirements of your business. We're considering using your firm to outsource our editorial and language needs. Do you do B2B work? We are always interested in B2B opportunities. See our Business or Corporate page for details. I live in another country. Can you still edit and proofread my document? Yes! Scribendi is a global company in every sense of the word. All you need is a valid credit card, PayPal, or Alipay account and you can use our services. If you are unable to pay with one of these direct and easy methods, we also accept wire transfers, but please note that these may cause delays in your order being processed. For more details on wire transfers, please contact customer service. Do you offer discounts for bulk/long-term standing orders and/or business relationships? We are always excited about new opportunities. You can check out our Business or Corporate service page to request a quote or find out additional information. We are always looking for new projects and welcome the opportunity to talk with you about how best we can meet your needs. We are actively seeking new partnership opportunities, so we would love to hear from you if you see the possibility of a shared opportunity. I want to outsource our work to you, but I'm part of a government agency, and we need to get you registered as a vendor. Can you do this? Of course. Just send us details of the procedures we need to follow, and we'll set things up so that we can assist you. Can you edit documents based on our internal style guide? Yes, we can apply your internal style guide when editing. Just send us all the necessary information and our editors will make sure that the style guidelines are carefully applied throughout your document. In addition, we can also apply any of the standard academic or professional style guides. How long will it take to get my business document back? We have an easy pricing system with no surprises, and it is based on two simple things: word count and turnaround time. 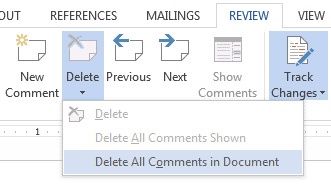 To determine your word count in MS Word, go to the Review tab or Tools menu and select Word Count. 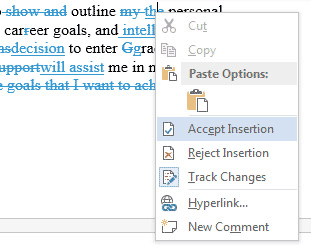 If you want your footnotes/endnotes to be edited, make sure to check the option to include footnotes and endnotes in the word count. You can also use the Scribendi Word Count Tool to get a word count, and this is particularly helpful if you do not have a Word document (a .doc or .docx file). 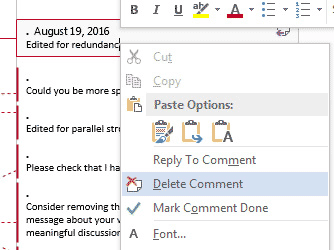 You can simply copy and paste your text into the Word Count Tool, and it will provide the word count for your document. Unlike other companies, we don’t offer vague quotes based on hefty hourly rates or confusing calculations. To find the price for your document, simply select the most appropriate service on our home page, type in your word count, and then use the instant quote widget to generate a free quote. When do I get a price break? Our quote widget automatically calculates and applies a discount for the following: A) when you choose a service with a longer turnaround time, B) when you want us to work on a large document, and C) when you order during off-peak periods. You will save money if you order a 48-hour turnaround time rather than a 24-hour turnaround time or if you choose a 1-week turnaround time rather than a 72-hour turnaround time. You will save money if you have a very large document, such as a book manuscript. You will save money if you choose to have documents edited during the week rather than on the weekend. If you are from a business or corporation and looking for a customized service, please see our Business or Corporate service page for details. How do I convert my webpages into Word files? Open the webpage that you want to convert, and then open the menu in your browser; click Save as; select the .htm or .html file format, select where you want to save the document on your computer (for example, in your Documents folder), and click Save. In Word, click File > Open; navigate to the saved .htm or .html file and select it; click Open. The webpage will open in Word; click File > Save As; select where you want to save the document (for example, in your Documents folder); in the dropdown menu for Save as type, select Word Document; click Save. Your webpage has now been saved as a Word document (.doc or .docx), and you now have a file that can be edited. If you’re ready to place an order, just pick the most appropriate service from our Business or Corporate page to get started with a free quote. Your website seems mostly upload/email based. I have a slow Internet connection. Can I send my document to you by post? You can post your document to us, but Scribendi accepts documents only in electronic format. You can mail us a USB with your files for editing. Just see our contact page for details on how to get in touch via post.